nice dining in maiu japanese restaurant. locate at the sri petaling. hardly came here to dine in but heard this place quite good and even i check out their facebook page. variety of the japanese food here and nice serving and buffet style at only RM 44 for adult price. 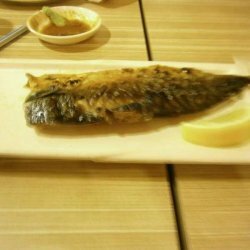 the saba fish is good and big portion too. nice dinign experience here with my family members here.